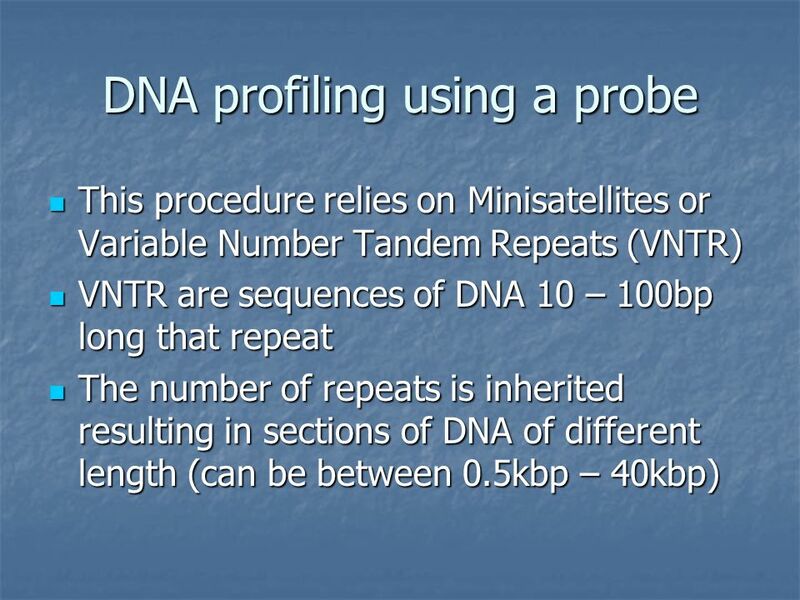 After using a single locus probe 2 bands are present As the VTNR forming the ‘band’ is inherited, 1 band is from maternal DNA, the other from paternal DNA. 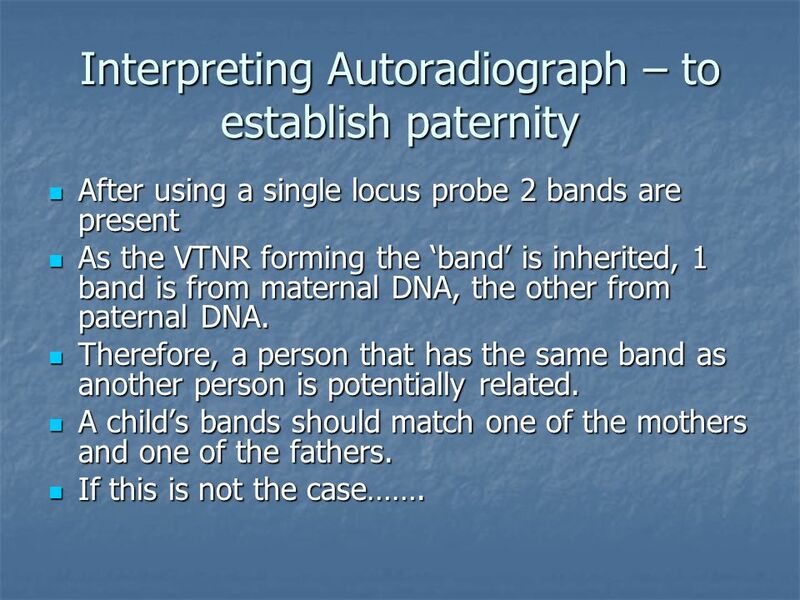 Therefore, a person that has the same band as another person is potentially related. 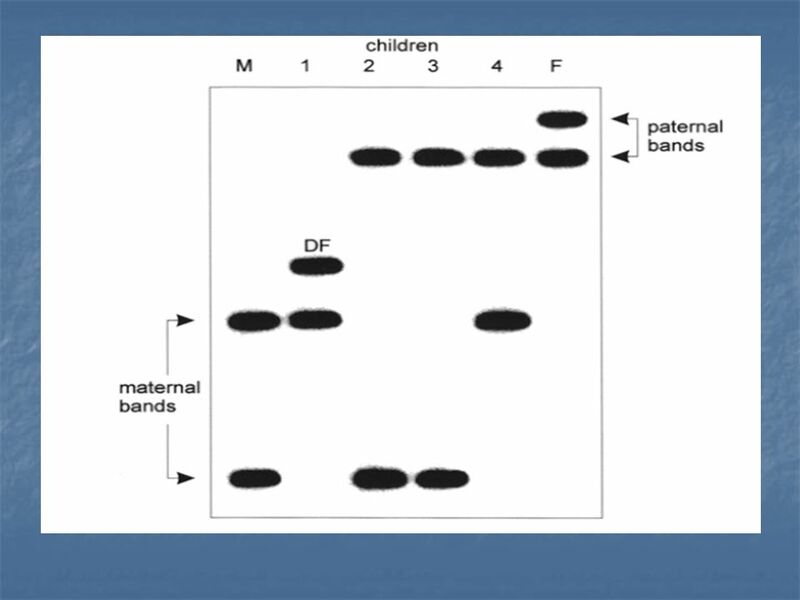 A child’s bands should match one of the mothers and one of the fathers. If this is not the case……. 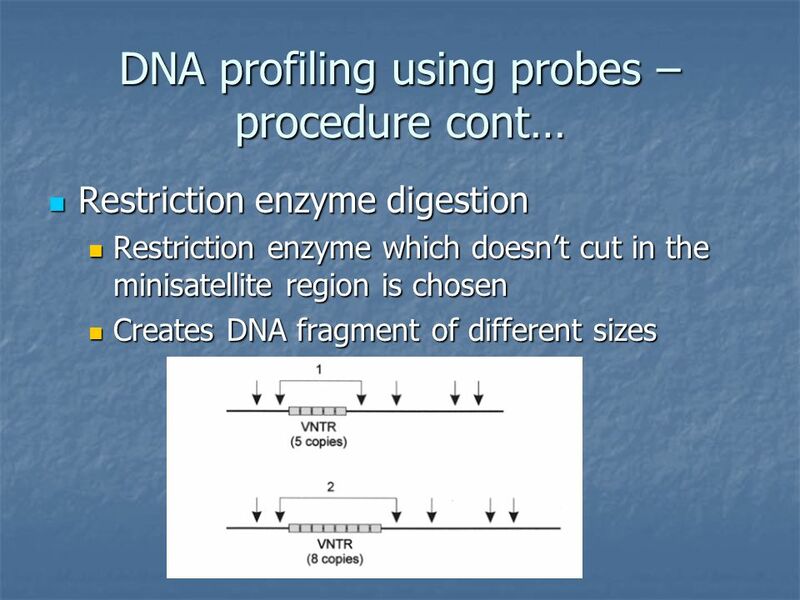 Restriction Mapping & Southern Blotting Made Simple Class instructions. ©2000 Timothy G. Standish Hybridization And Southern Blots Timothy G. Standish, Ph. 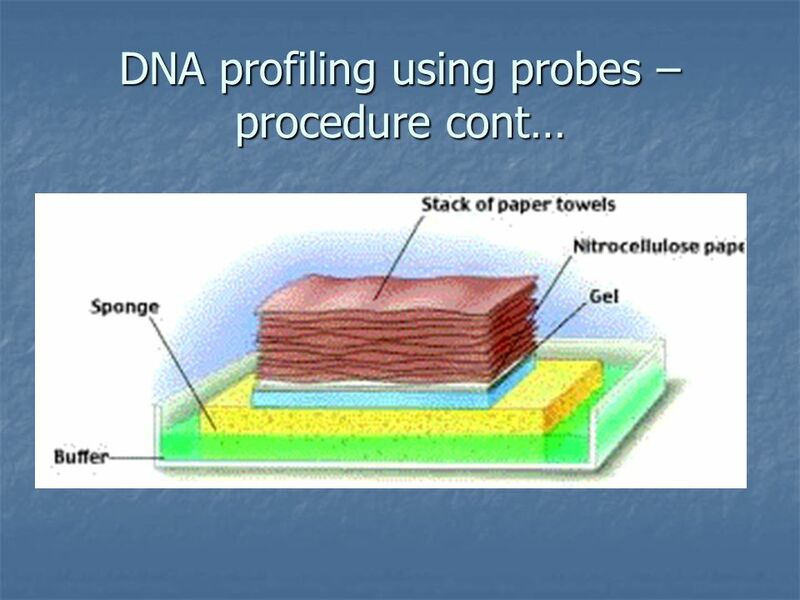 D.
CSI: SNAB DNA Fingerprinting. 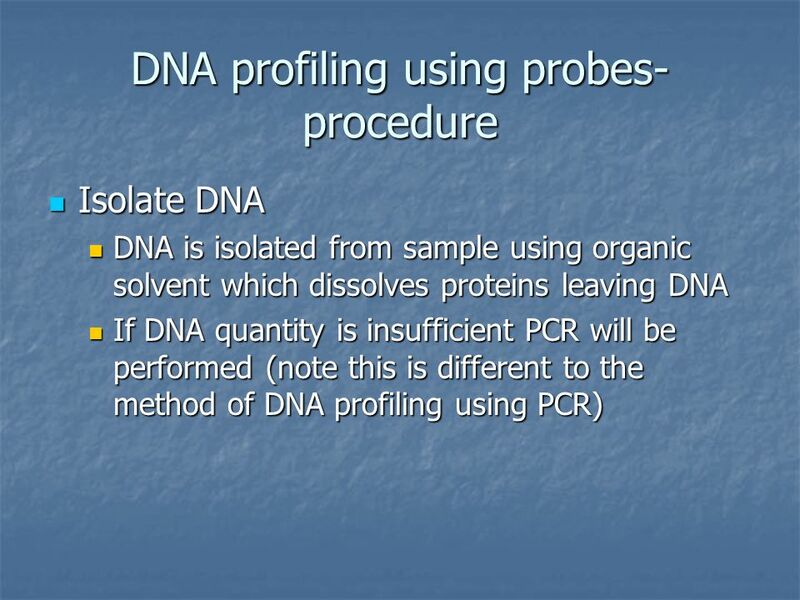 Lesson Objectives Describe the uses for DNA Fingerprinting Explain the process of DNA Fingerprinting Discuss the ethics. 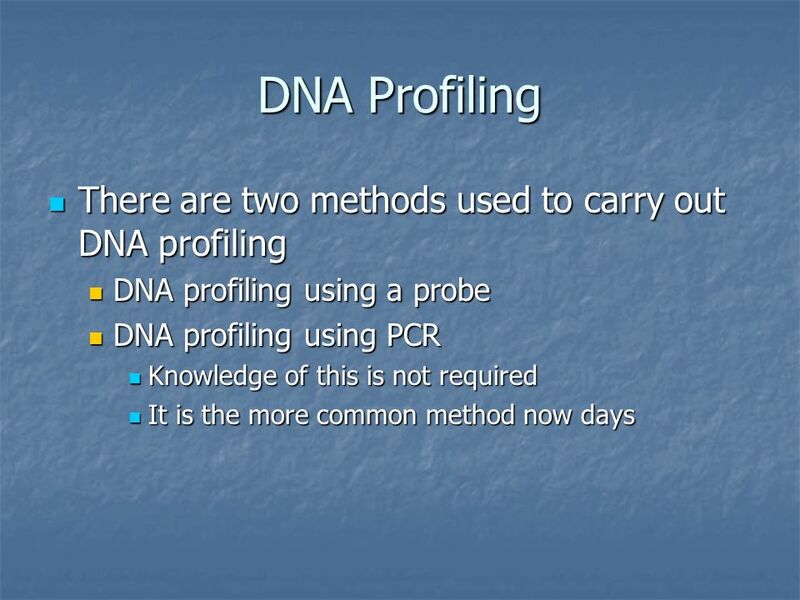 DNA fingerprinting is a technology that identifies particular individuals using properties of their DNA It is also termed DNA profiling Copyright ©The. 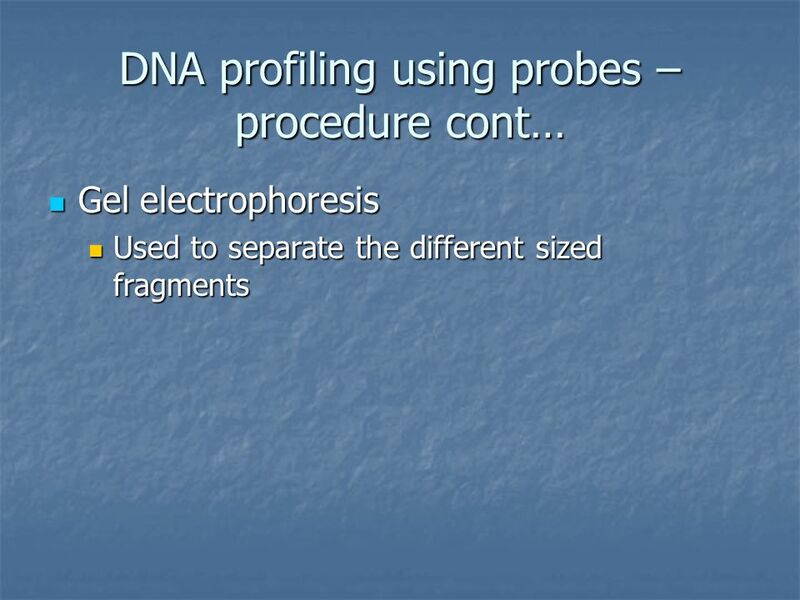 Kinship DNA Fingerprinting Simulation Grab the packet from the front table and begin reading. Lesson Objectives At the end of this lesson you should be able to 1. 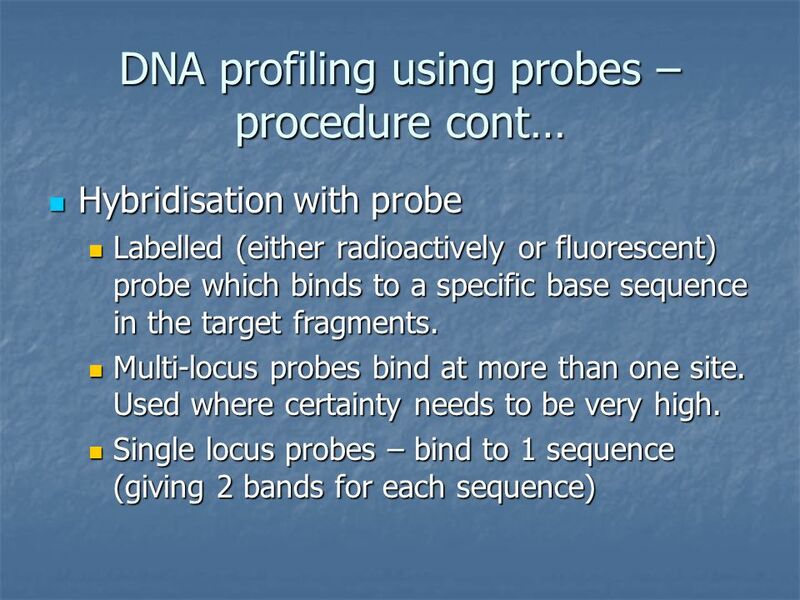 Outline the four stages involved in DNA profiling 2. 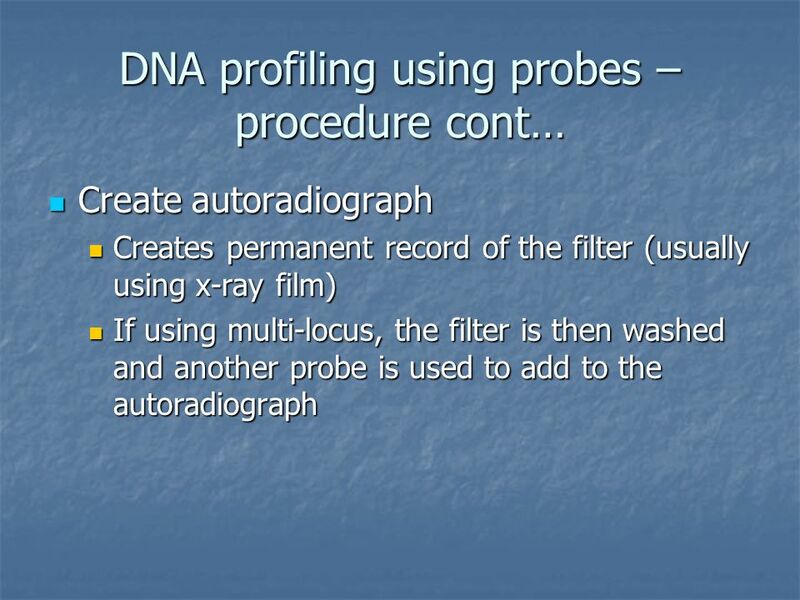 Define the process of DNA profiling. What I Learned about Southern Blotting By: Matthew Garma (LCC) A.B.E. Workshop 2006. HOW MANY CATs? 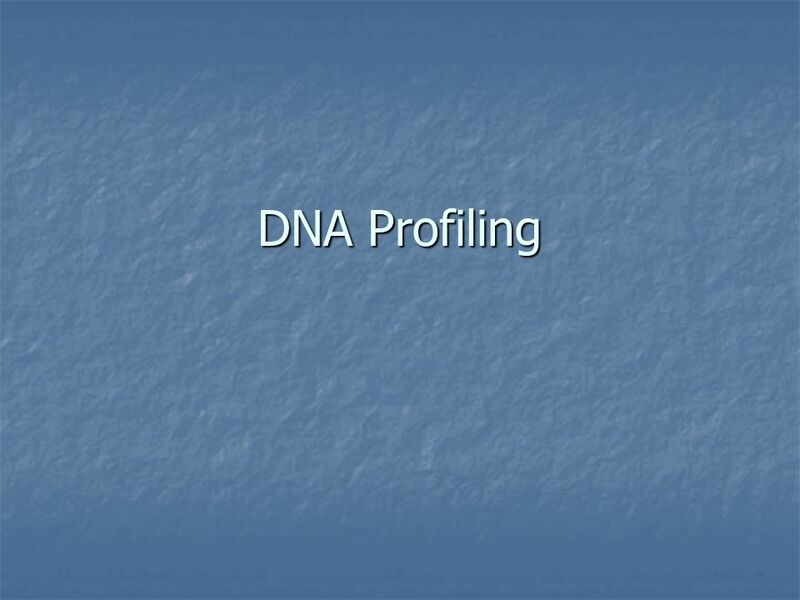 A DNA Profiling Simulation. 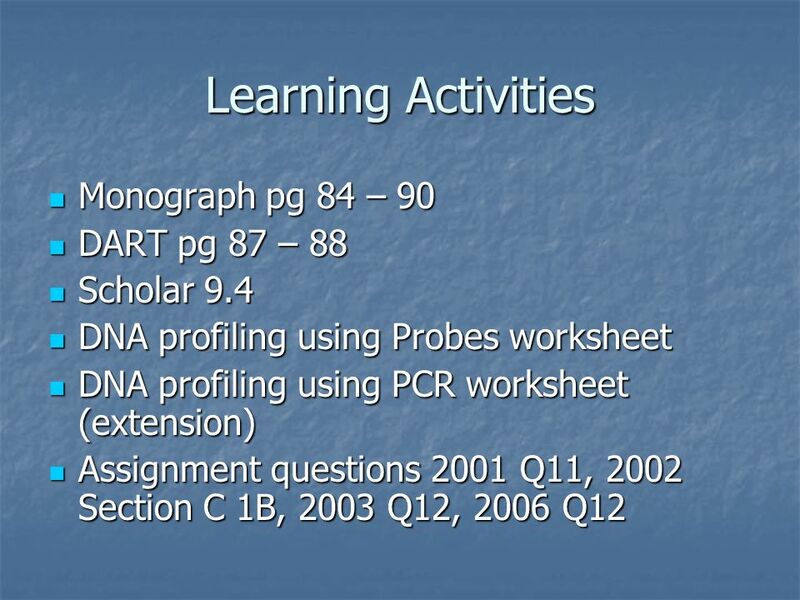 Homework Prepare for 6x task 2 and 6x written assessment June 2012 June 2011 June 2010 Bring marked corrected papers to tues 23 rd april Test DNA technol. 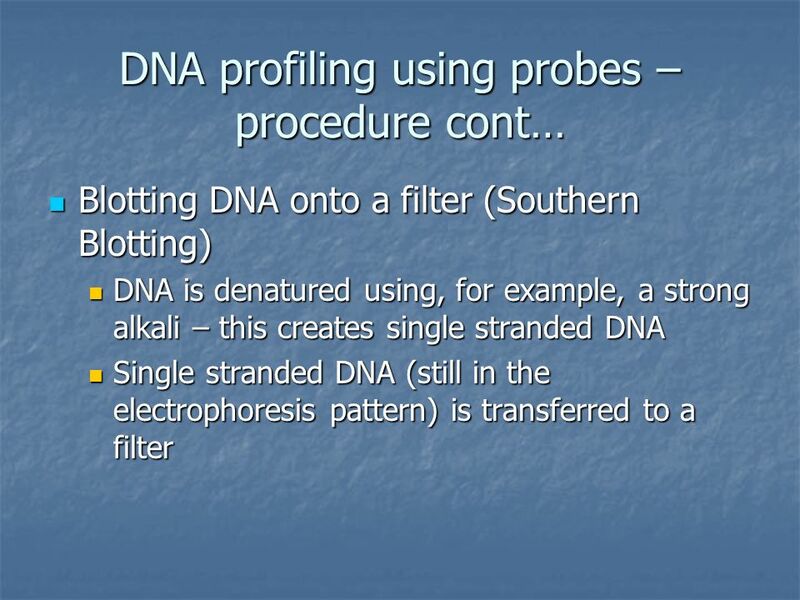 All other DNA profiling steps occur.. PCR, Restriction enzymes, gel electrophoresis or interpretation by current and charge and mass But there are new.